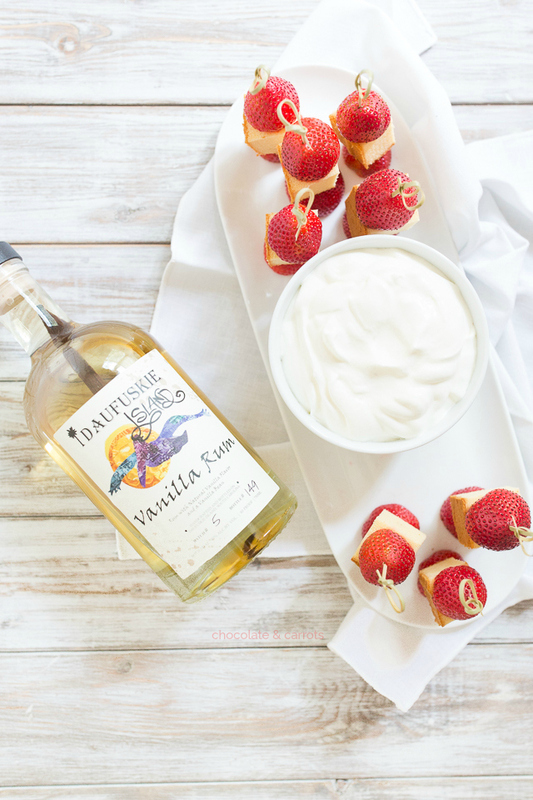 Strawberry Kabobs with Boozy Whipped Cream are a summer staple around here! They are quick to make ahead of time and make a delightfully refreshing dessert. 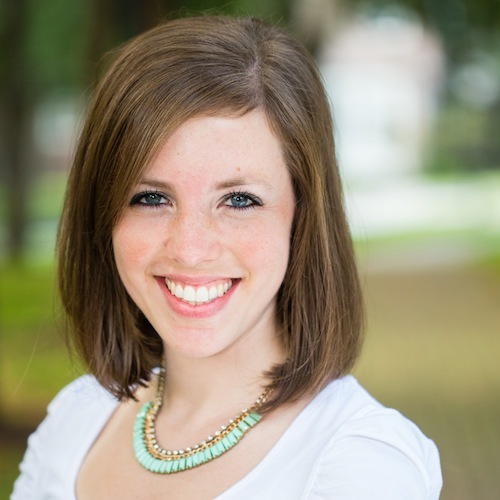 I really don’t like the heat of summers in Charleston. Every year I dread the 100+F and drenching humidity. However, I try to be a glass half full type of person and look on the bright side. The bright side here, all the insanely sweet local strawberries! 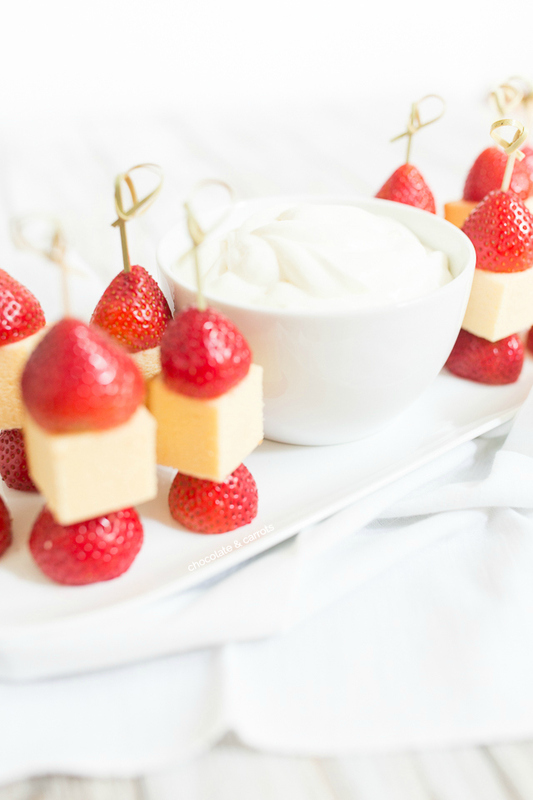 We had my family over for lunch the other day and enjoyed this light and refreshing dessert! 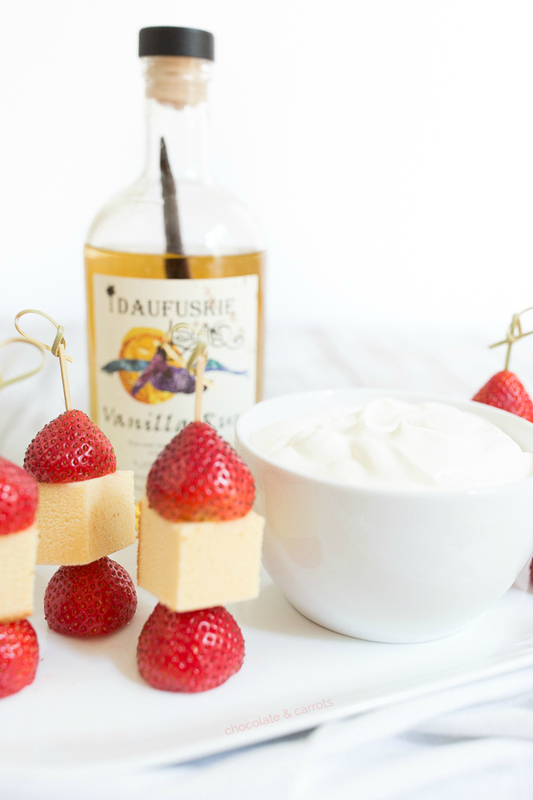 The whipped cream is delightful with just a hit of added flavor from the vanilla rum. I kept it PG so the kids could dive in, too. We all enjoyed dipping our little strawberry kabobs in the whipped cream and Liam (our resident whipped cream lover) licked the bowl clean. The vanilla rum is straight from Daufuskie Island, right off of Hilton Head Island, South Carolina. We motor boat over to Daufuskie Island (there’s also a ferry you can hop on) every summer for some golf cart driving around the island, the wind in our hair and the picnic on the deserted beaches. A rum distillery opened up a couple of years ago on the island and we go restock our rum every year there. Their distillery tour is really cool if you get a chance to visit! 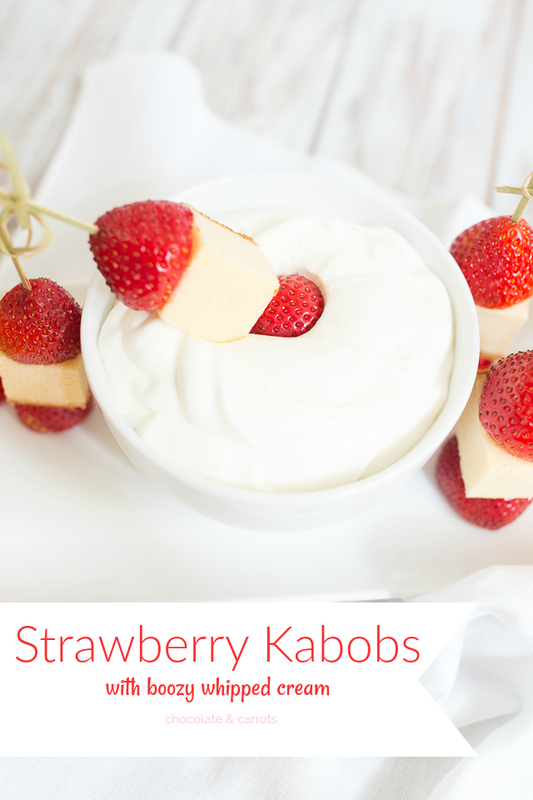 The kabobs are super easy to prepare ahead of time. I made it over a day in advance and just covered it with plastic wrap. The whipped cream stayed nice and whipped and everything was nice and fresh straight from the refrigerator when it was dessert time! 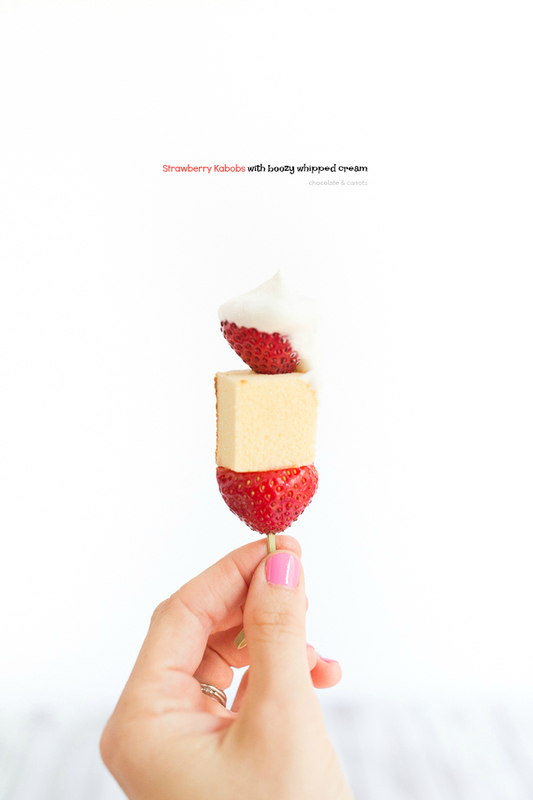 I hope you get your hands on some fresh, sweet strawberries this summer and make this dessert! 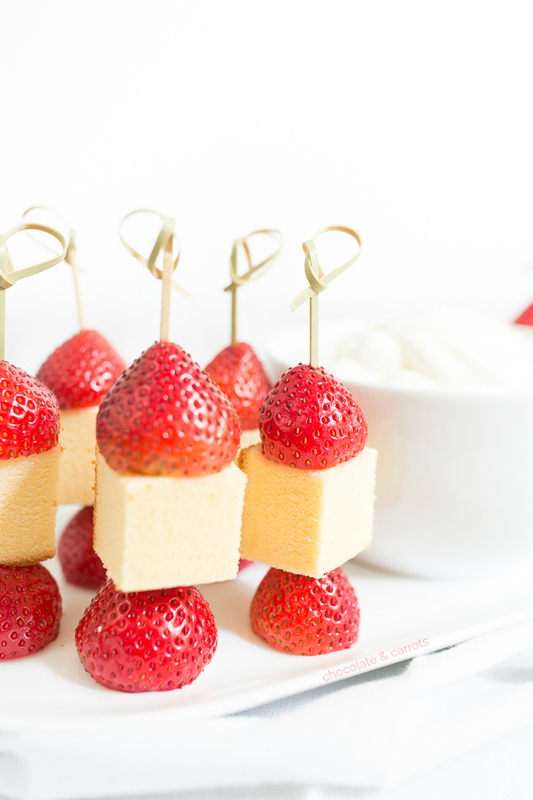 Place two strawberries and a pound cake cube on each skewer. To make the boozy whipped cream, beat the heavy cream, sugar and vanilla rum on high for about 1 minute or until it forms soft peaks. Chap Chae with Tempeh: My crazy attempt with Asian.